Fast penetrating into the digital era, people are constantly looking for ways to benefit from online channels and different mediums. 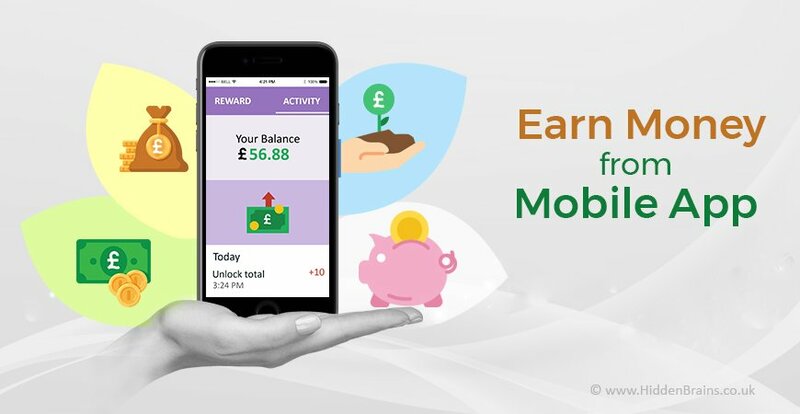 The concept of apps to earn money UK is gaining traction. People are investing in custom iPhone app development services with an aim to get good monthly returns. Let’s know the secret behind earning real cash from mobile apps. ‘Earn from downloads of paid apps’ is NOT the secret! Most of the top grossing apps are available for free download on the App Store – some of them being Netflix, Hulu, HBO NOW, Clash of Cans and YouTube TV. Other Apps to Earn Money UK? Though your mobile app is available as free to download in the App Store, why not gather a loyal user base to earn from in-app purchases? For example, consider you opted for Custom iPhone Application Development and launched a fitness app in the Apple App Store. It is quite possible that your brand isn’t popularly recognized and people may not prefer to download its paid version. However, if the same app is visible in ‘fitness’ category and ‘available for free’ in iTunes, you can expect to have a set of loyal users in few months. Once users have downloaded your app, the entire game depends on the performance of app. If users find the app impressive, they are likely to make in-app purchases to access additional features. Freemium apps that include additional, optional and paid features are quite common in gaming category that allure users for making purchases to unlock new levels, buy extra lives and accessories. These apps also find popularity in music category, health & fitness, dating and other similar categories. One of the largest grossing apps named Tinder is available for free download, however charges monthly fee of $9.99 for Tinder Plus subscription and $14.99 for Tinder Gold subscription. These plans allow people to make unlimited swipes for finding the perfect partner for dating. How useful is your app to target audience? What advanced features it offers through in-app purchases? How do these paid features add value to current usage of app? These pointers when considered in combination with appealing UI-UX and robust performance altogether contribute to earn money from mobile app. This form of advertising is quite similar to traditional model where advertisers pay depending on the size, position, timing and placement of ad in the app. Payment is decided based on different criteria such as number of impressions, type of audience displayed with the ad (location wise), click-through rate and format of ad (text, image or video). Static advertisements have lower engagement ratio when compared to video-based ads. Revenue is calculated through advertising networks that offer a variety of models and formats through in-app advertising strategy and define specific metrics to keep track of how the ads are performing. One app that is earning large revenue from in-app advertising is Sleep Easily Meditations. This app is free to download for all iOS users, but makes money by running non-intrusive advertisements for as long as the app is in use. Being a renowned app, it receives hundreds of downloads every day and is quite frequently used by people. One thing to keep in mind is that this monetization model yields effective results only if your app has good brand value and demands prolonged usage. Lesser known apps with limited number of download and occasional usage may not earn good revenue. App owners need to be cautious in selecting in-app advertisements, its frequency and timing. The advertisements should not come as a major barrier in navigation through the app. Monetization perspective should not interfere with the core purpose and functionality of the mobile app. It advertisements come abruptly while the user is accessing the app, he/she may feel irritated and end up in deleting it from the mobile phone. Position the advertisements in a strategic manner such that it catches user’s attention, but does not disturb him/her in anyway. Taking help of a professional iPhone app development company helps in building of intuitive and feature-rich apps. App development experts can even guide you on how to place advertisements for maximum benefit. Making money from iPhone app is not just a statement; it is practically possible if done with under professional guidance and in the right way. 25% of iPhone app developers earn over $5,000 per month compared to 16% of Android developers earning the same revenue on monthly basis. iOS platform offers host of opportunities for app owners to make money with innovative ways and strategic marketing techniques. Hire services of mobile app development company for building freemium mobile apps.